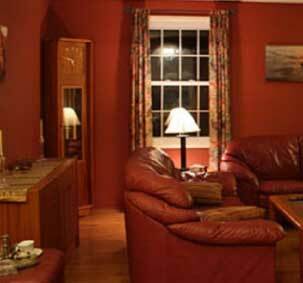 Interior painting is a relatively quick way to refresh your home's interior for little time and money. Many homeowners believe that painting can be a "do it yourself" project, saving themselves money, but painting can be a complicated affair and can prove to be more expensive years later if not done correctly the first time. Why hire a professional to do your residential painting? Health & Safety - If your home was built before 1978, it may have been painted with lead based paint and can cause serious health risks when prepared for repainting. Hanging new wallpaper can give your home a fresh update. 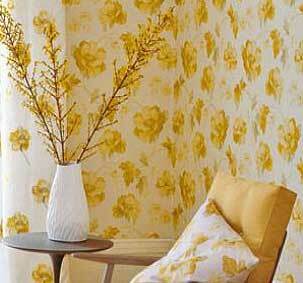 Like painting, wallpapering is considered by some to be a do-it-yourself project. However, there are many things to consider with wallpapering to attain a professional looking job with long lasting results! So many choices! Fabrics, Pre-pasted Papers, Wall liners, Borders.....How to choose? An experienced professional knows how plan the wallpapering project, knows how to perfect cutting and trimming, and knows the tricks of the trade for achieving smooth seams. A professional will also get the wallpapering job done more quickly and neatly than most do-it-yourselfers. 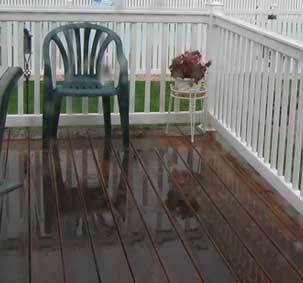 An application of wood stain freshens up a worn and weathered deck or house. Hiring an experienced professional will avoid staining problems and provide lasting results. Temperature and Humidity, which can affect stain absorption or evaporation and leave lap marks.